SAO PAULO - Brazilian police say a newborn girl was saved from being buried alive when she started crying at a funeral home where she had been taken after doctors declared her dead. A police statement says that the 14-year-old mother was seven months pregnant when she gave birth on Tuesday at the Santa Casa de Misericordia hospital in the city of Araxa. 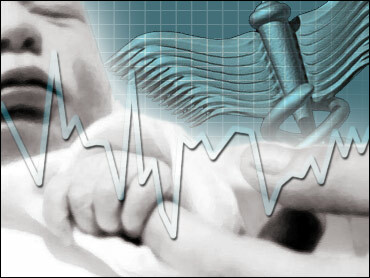 Police say the hospital reported that the baby died moments after being born. The body was sent to a funeral home and as the undertaker was preparing it for burial, the girl started crying. The baby was rushed back to the hospital and placed in an intensive care unit. The hospital confirms the incident but gives no details. Neither police nor the hospital released names of the mother or child. Last month in South Africa, a man who was mistaken for dead woke up in a morgue about 21 hours after his family had called an undertaker.